Today I want to share few things with my readers. First of all wonderful people at CSN contacted me again as a preferred blogger back in the month of sep. for review of any product from their stores (I see new gadget coming into my kitchen for a review). I promised them but never get to blog about it, and now after almost one & a half month when I came back they still have that offer open from me....so they are wonderful, right? Today I was browsing their collection of Dining Tables and came across this Dining nook set, how I'm wishing I had a little big apartment so I could have something like that in my dining area. Always love that kind of table, give me the feeling of being kid sitting on that bench. Another thing to share is an award passed to me by one of my favourite blogger Suma of Cakes and More. No doubt I love her Cakes/Bakes but also like More section of her cooking too. She is a wonderful cook & a Baker too. Thanks Suma, for sharing the award with me and sorry also as it took so long to post this award. Also sometime back in the month of Oct. it was Spicebuds first blog anniversary, I myself was so busy with the family back in India that I totally forget about it. Now, moving to today's recipe it's very simple & tasty. Everyone in my house loves it, it's perfect for the times when U don't want to spend lot of time in front of the gas but still want all happy faces on the dinner table asking for another helping. Also a very versatile dish....can be served with rice, roti or naan. When U read the recipe you'll see why I love it so much.....it's quite easy to sneak in some extra veggies(see notes at the end) in this meat dish without losing actual taste of keema. This recipe serves 4 hungry tummies. Notes : Chicken & Turkey keema(minced meat) comes in many varieties in terms of Fat contents in it. When U look at the packet it says something like 93/7 means 93% fat free & 7% is the fat content. this is what I normally choose as I'm gonna use around 2 tblsp. of oil also for sauteing the garlic, ginger, onions & celery. But there is something like 80/20 also, so U can choose as per your taste & requirement or u can mix & match. Heat the oil in a heavy bottom pan, add cumin, dry red chillies, bay leaves & cloves. Once they start to splutter which should not take more then 15-20 sec. or so add garlic, saute it. Next goes ginger & a sprinkle of salt, which helps ginger not to stick with pan. After few seconds, in goes celery & onions, saute till they are soft & onions are translucent. Now add minced meat to the pan & brown it, also break the big lumps of meat using back side of a big spoon. I prefer to do this step on high gas while stirring it, once the meat is brown(it release some fat too) turn the gas to med. & keep stirring it occasionally making sure it doesn't stick let it cook for 5 minutes or so. Time to add all the dry spices except garam masala. stir it thoroughly. Add peas, zucchini & carrots, this will add some moisture also. Let it cook for another 10 minutes or so, stirring occasionally. Add green chilies, tom. paste & tomatoes. Cover & cook till done, approximately another 15 minutes or so. Check in between to make sure it's not sticking, if needed add water . Also toward the last 5 minutes of cooking add water as per the consistency of the final dish U need. We don't like it too liquid kind just little thick gravy kind to go with rice so I usually add around 1/2 cup of water. Things to Note : If u r using veggies like carrots they gonna add little sweetness to the final dish so U might want to add extra heat by using an extra chilli or chilli powder. Garnish with fresh chopped cilantro & serve it the way U want or for some extra ideas wait for the next post. Slurp,thats a delicious and droolworthy kheema mattar..
Keema Mutter looks so perfect and mouthwatering. Love to have it either with rice or roti at any point of time during the day. Healthy and yummy ...i would love it with pav buns . I make keema matar with vegetables with pav to make a keema pav bhaji . Loved it. A new meal for me; look soooo Good; I know I would love it. hey..thanks for your wishes..I am sure you had a great time too. Sorry couldn't wish you earlier !! the dish looks amazing..its been a while i;ve had kheema.. Your recipe has perfect blend of spices! Congrats! !Glad to share the award with you!! Yummy and perfect evening snack. Kheema mutter is truely tempting ..yummy and delicious one for rotis. 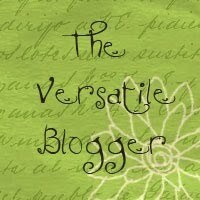 I came across your site from the foodieblogroll and I'd love to guide Foodista readers to your site. I hope you could add this Keema widget at the end of this post so we could add you in our list of food bloggers who blogged about recipes for Keema,Thanks!